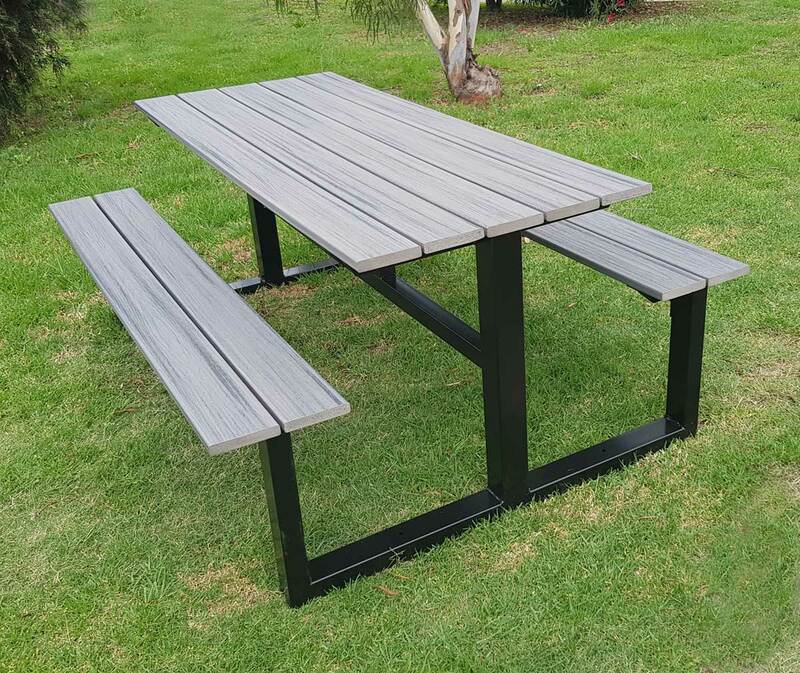 DOSmith manufactures a range of Furniture for Public Spaces that is attractive, durable and economical. 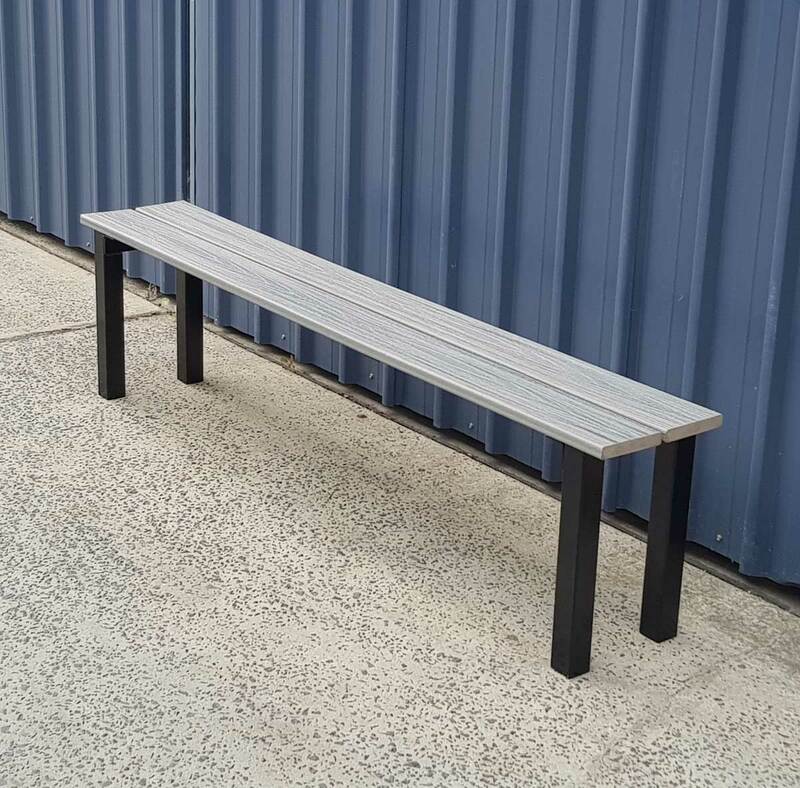 DOSmith Furniture for Public Spaces range includes timber and metal Outdoor Benches and Seats. 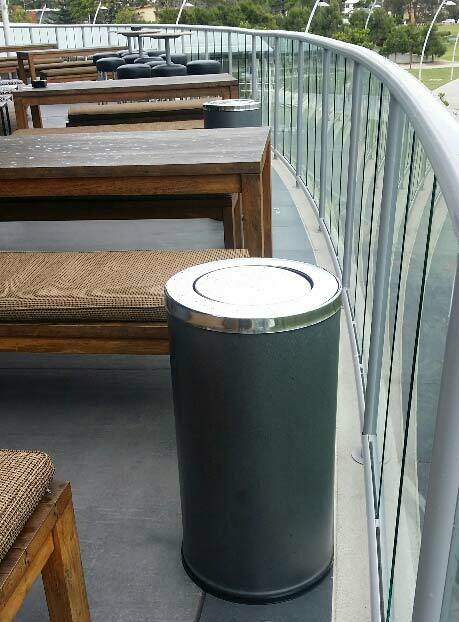 Stainless steel and powder coated Ashtrays, Litter Bins and Bollards and a range of stainless, fiberglass and timber Planter Pots. The DOSmith range also includes a large range of Bike Racks to suit all bicycle shapes and sizes. 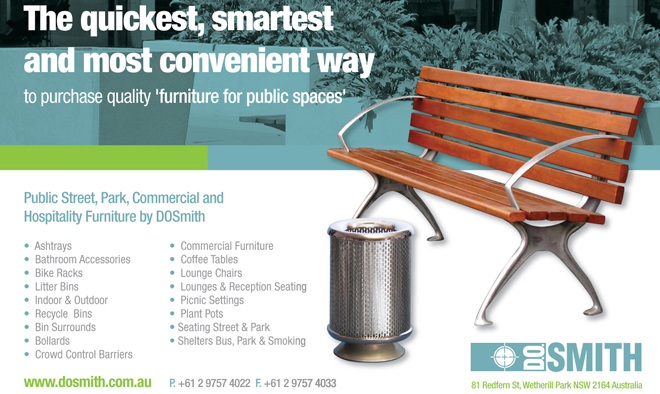 Recycle Litter Bins, Wheeled Bin Enclosures, Bus and Park Shelters are also part of the extensive DOSmith range. 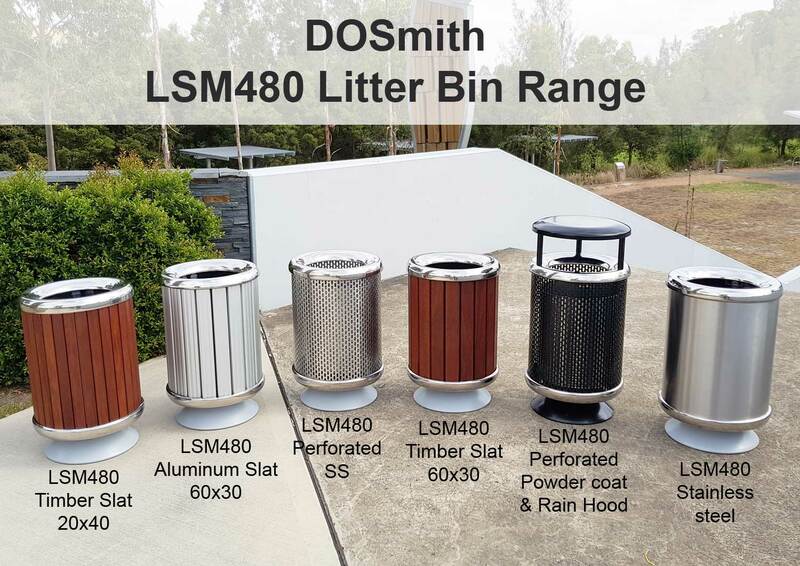 The full range of DOSmith LSM480 litterbins! 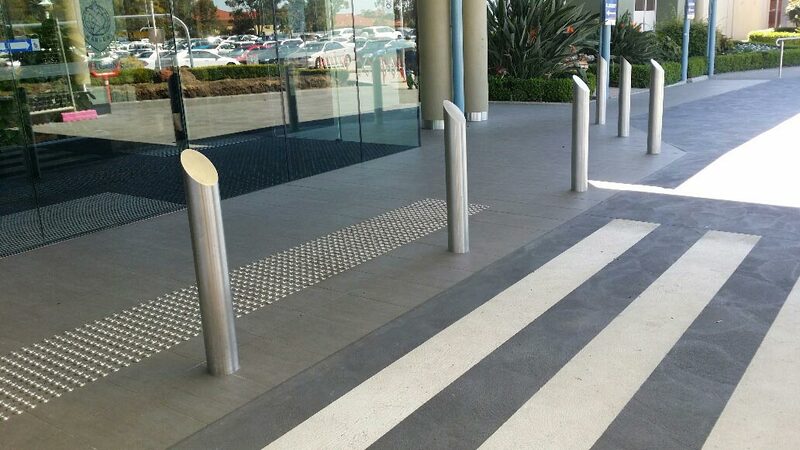 Stainless steel B125 Bollards supplied to the Marconi Club. A secure and attractive way to highlight the main entrance. 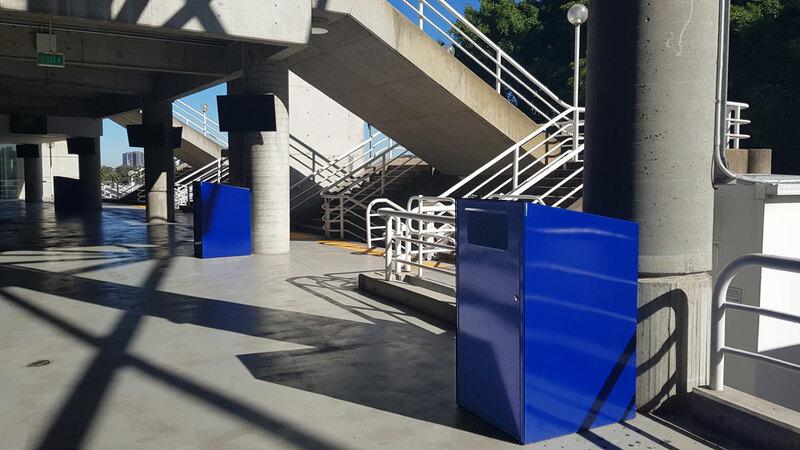 L345 Swing top Litterbins supplied to the Twin Towns Services Club. Smart looking and efficent litter collection.